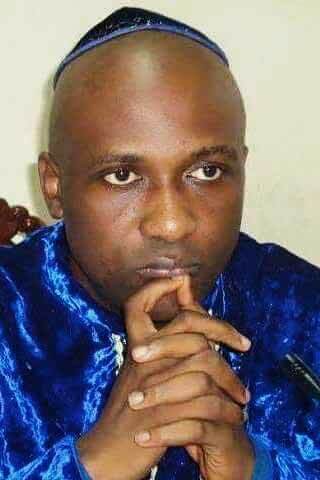 PRIMATE AYODELE DROPS 2017 PROPHECIES | Popular for his proph.. The Servant of the Most High God at INRI Evangelical Spiritual Church, Babatunde Elijah Ayodele (JP), has released his divine revelations for 2017 on what to expect in the year. In his 2015 prophecy, the cleric prophesied and was widely published on every newspapers that Ibrahim Magu: the acting EFCC Chairman will be criticized and his efforts will not be appreciated. The Lagos based Cleric also predicted the Victory of Donald Trump in the recently concluded election in America. Barrister Rotimi Akeredolu of Ondo State. In the same vein, the Obedient and respected Seer hit the bulls on the head as he Prophesy the victory of Nana Ado Akufo of Ghana. This has brought him to limelight and one of the leading prophets we have in the global world. It is pertinent to note that the word of God through His Servant: Babatunde Elijah Ayodele cannot be over-emphasized. The Federal government must work on the Central Bank of Nigeria (CBN) monetary policies otherwise the recession that we are experiencing now will take us another seven years to get out of it. The CBN is not implementing the right monetary and economic policies as God directs. Until CBN do the right thing Nigeria may not come out of the recession until the government does the right thing. I also foresee the changing and redeployment of some Directors at the CBN and also top management staff. I foresee mass sack and redeployment of workers in Fidelity Bank, Diamond Bank, Access Bank, GTBank, Aso Savings & Loans Plc, Wema Bank, Heritage Bank and Stanbic IBTC Bank. Diamond bank, Keystone bank and fidelity bank must be careful and watchful of CBN troubles. I also foresee some of the banks changing their Managing Directors and some CEO and some of the members of the board. There will be redeployment of some bank managers. The financial institution will take new steps on cash deposit and cash withdrawal. Let us pray that any insurance company will not have troubles. The year 2017 will be more challenging for the Stock Broking Firms. There will be some problems with the stock exchange. Shares will be stable in the month of May, June and July and will be unstable in September, October and November of the year. There will be agitation to merge some agencies together such as in NACA NAAN. Workers of Arik airline will go on protest. In the same vein, Lufthansa Airline and Dana airline workers will demonstrate protest. The security agency will intercept attack in our airports. On the government of Donald Trump, his government will have so many issues and troubles and of course his policies will be criticized. Donald Trump will escape attack. He will want to have relationship with Israel and Russia. And must be careful with these two countries. He must be watchful so that he will not take the wrong step will want to address the Israel, North Korea, Iran and Germany but he will be too aggressive in his approach. There will be modification in dollar denomination. Trump must be careful of picking the state secretary and if proper care is not taken he may pick a wrong choice. Trump will come about new policies and it will not work. The Spirit of God says he should pick a woman as the secretary of states. America soldiers will be held hostage. America and some government will ban Hijab. So many things will happen as immigration law will be reviewed. I foresee changes in the foreign policy and security in America. There will be flooding and blackout in America so also Tsunami. The American website may be hacked. The head of homeland security, CIA and FBI may be changed. The head of the New York stock may be changed. America will be attacked and it will be caused by ISIS. The American soldiers will be attacked and their helicopter may as well be attacked. Russia will cause problem for Trump government. China will take some new steps to struggle with America. USA must be careful not to lose its economic strength and military. Trump must be cautious by the rulers of America. Germany, France, UK, Belgium, Russia, Saudi Arabia must be careful not to be attacked by ISIS. They will re-strategize their security outfit. A new terrorist group will be formed in Europe and Asia. I see new immigration law in Europe. USA must be careful and watchful of attacks within some states, in schools, bus attack. European Union will issues with some of their states may affect their strength and EU will face major challenges which will affect their members’ within some states, schools and bus attack. I foresee changes in the leadership of EU. While some will join and some will be threatened to pull out of the European Union. The Syria militants will regroup. Allepo will be restructured as militant will come and attack it again. Syria government will use chemical weapon on the citizen. Syria will experience killing and bombings in order to evacuate the president and militants in the country will regroup again. Russia will be indicted in Syria matter. The president of Syria will have lots of controversies to remove him from office as Russia will be backing him and the president will be confronted with multiple crises and Russia will receive sanction because of Syria and they will not take actions because of him and the world leaders will come together because of Syria. The ECOWAS President will have problems within his commission and the country. The effort of the ECOWAS President will not be appreciated. There will be problems in the ECOWAS countries. There will be crisis in Togo and the want to revolt against the President. The President of Togo of his misrule and mismanagement. Human Right will gang up against the President of Togo. There will be changes in AU leadership. ECOWAS will perfect its members documentation and immigration law in each border. There will be ECOWAS bank soon and there will relationship between Asia and European countries. There will be economic crisis ups and downs in some African states. There will be killings in South Africa. ANC will change their leader as Zuma will have problem with his party and parliament. Zuma President will have problems and foreigners will be killed in the country. There will be serial killings in turkey, Germany, France, Israel, Nigeria, Libya, America and UK. Let us pray to rebuke death in Buckingham Palace and there will be changes in Buckingham Palace. The queen and the prince must be prayerful for good health. I foresee the death of a former president at the global world. The election in Germany will take a new shape. The incumbent chancellor of Germany should re-strategize as Germany will be attack by terrorist and their economy will be unstable and they will review their asylum procedures. As opposition wants to send her packing if he doesn’t take bold step. Dubia may be attacked as their visa procedure and immigrant law may be changed. South Africa will launch a new technology into space. The second term ambition of the France President will be difficult except he re-strategise, reposition things and work harder on the economy and security outfit of the nation that is the only thing that can give him victory. An African man will initiate a new technology, precisely, a lifeless gun. Let us pray to rebuke problem in Gabon. ISIS will trouble America and some part of the world. North Korea army may be killed. And North Korea may want to be friend to America enemy. I see trouble in Taiwan and Indonesia. The coming election in Kenya will be tough and the president should brace up so that the opposition will not take over the seat. I foresee bomb explosion and militant attack in Kenya as the opposition will want to rubbish his second term ambition. Let Zimbabwe pray against crisis and water pollution. The government must not overlook this. Malabo oil probe may still come up. South Sudan problem is not yet over. The problem between Sudan and south Sudan will be deepened. President of South Sudan may face court of law as the problem is not yet over. There will be bombings and kidnapping. There will be kidnapping of humanitarian workers as another sect of militant will regroup to cause problem in both countries. I foresee crisis in Catholic Church and Pope John Paul should pray for good health. Let us pray to rebuke death of a catholic Bishop. There will be new policy that will make the people to criticize the Catholians. King of Morocco should pray for good health and God’s protection. I foresee attack in Pakistan. I foresee flood and train derailment in India. India economy will rise as there will be new election in the country. In the next 3-5 years India will be one of the leading nations in the world in terms of military, health and technology. India economy will grow. The mining workers in South Africa may have troubles with government and may go on strike. There will be problem in Mexico such as flood and explosion. Russia, North Korea and China must be watchful of such flood and explosion. Argentina will have a new leader. Lebanon and Israel may have issues to contend with. There will be crisis in Lebanon and the government should pray against fighting and attack. The Israeli and Palestine crisis will still be on and the politics that surround it will be revealed. Palestine will kill Israeli’s soldier. There will be consultation for peace agreement which may prove abortive. The Palestine war will be unstable as they will want to have agreement to settle the crisis. There will be trouble at the middle East as God will give Israel more political strength and power to involve in some matters in the world I foresee troubles in Somalia and political crisis in Somalia and militant problem. ISIS commanders will be attacked. ISIS may have their tentacles extended to Africa. There will be uprising in Egypt, Tunisia and Mali. Russia plane may be attacked. CNN and Aljazeera staff may be kidnapped or killed. Lets pray for world peace. UN will spend lot of money and they should pray so that the UN workers will not be attacked and any of the UN buildings. I foresee changes in Ghana IGP, NNPC, Police and Custom chief, immigration and CBN chief. There will be problems in the leadership of National Democratic Congress. The National Democratic Party will have unexpected wrangling among themselves. Ghana national team will run into crisis. Saudi Arabia oil will drop. There will be problems and political crisis in the Democratic Republic of Congo, Gambia, Guinea Bissau and Burkina Faso as I foresee killings in these countries. There will be permanent cure on cancer and HIV in the world and Nigeria will be part of it. I foresee that the United States of America Dollars, the British Pounds and the Euro will not stabilize in relation to their exchange rates with the Naira. The Lord says Nigeria must review its stand and preference for the American Dollar. I foresee that Nigeria will manufacture a wholly made in Nigeria airplane in future. I foresee an African country building a warship. I foresee deaths in the United Nations through attacks. I foresee some UN workers kidnapped. The Spirit of God revealed changes in the UN helms of affairs and some directors. Let us pray against train derailment in Nigeria, Spain, France and Germany. The United Kingdom and United States of America will adopt new Visa processing method. The United States of America will experience economic meltdown. I foresee that there will be flooding and serious erosion in the United Kingdom and some European countries. I foresee crisis and absence of peace in some parts of the world. Let us pray against a new terminal disease that will spread from Africa. The incoming Ghana President should not probe the past leaders otherwise it will collapse his government. Ghana should pray to avert the death of a prominent politician in the country. Benin Republic President will not get a second term and he will create problems for the country as he will have misrule of his country and the country will run into major crisis. The next President of Benin republic will shock a lot of people and it will come from the southern part of the country and his going to be from a Yoruba speaking area. America, France and Britain will support Nigeria in fighting terrorism. I foresee coup at the global world. America should pray not to lose a movie star, fighter and wrestler. There will be protest against the government of Brazil. These are the words of the Lord. I foresee disagreement in the custom. I see the smugglers will kill some custom officers and the custom will retaliate. Fraud will be detected in custom. There will be corruption in custom. Stella Oduah must be prayerful and watchful so that she will not lose her political target. Alex Duduyemi, Lateef Jakande, Peter Odili, Tofa, Yakubu Gowon, Victor Olaiya, TY Danjuma, Shehu Shagari, Alex Ekweme, Ernest Shonekan, Gemade and Emeka Ofor and Bamanga Tukur should pray for good health. Isiaka Adeleke should pray well because I foresee his political future threatened. Andy Uba should watch his political moves and God’s divine backings. Ifeanyi Uba should be watchful so that he will not run into unexpected debt and litigation. Charles Soludo should wait for the right time in politics, he should not leave politics and he should pray not to be bereaved and also not to be attacked. Arthur Eze should be careful not to lose in his investment and pray for God’s guidance and protection. Dangote should pray so that his truck will not get an accident and crisis, setback and pray to rebuke debt in some of his investment in Africa and he should pray for God’s protection. Dangote should not go into politics. Aishat Buhari should pray well for God’s guidance and be watchful and careful of her movement. Aloma Mariam Mukhtar, Fatimah Abubakar should pray for God’s divine backings. IBB must be watchful of his health. Ibrahim Mantu will experience political setback. Masari will be under serious pressure. 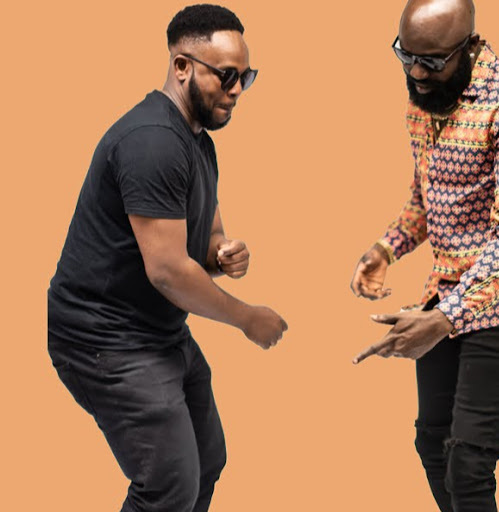 Sunny Kuku and Sunny Odogwu should pray for God’s protection. Raymond Dokpesi should pray for good health and rebuke court matters. Edwin Clarke should pray for good health. NPC will take wrong steps in statistic population of the people in the country. Some commissioners will be changed and the figures will not be correct. Shiroro dam, Ijegde dam and Kanji dam should pray so that there will be no troubles. Egbin plants should pray so that there will be no complications. Ajaokuta steel will have problem. They should pray to survive the challenges so that they will not have problems. Ijede should pray against on their equipment in order not have problems. The government will restrict the movement of tricycle in some areas in Lagos. NURTW will be having challenges. There will be fight in this union and there will be killings in Lagos, Ogun and Oyo. I foresee rancor in the Energy and Power Supply. Power supply will be partially stable in Nigeria in 2018. I foresee major blackouts beforecccc 2018 as the sector will be having problems. The energy tariff will be unstable and customers may challenge the tariff. I foresee the Heads of Electric Power Distribution Companies facing crisis. I also foresee corrupt practices in the sector. The Eko Electricity Distribution Company Edo Electricity Distribution Company, Kaduna Electricity Distribution Company, Ekiti Electricity Distribution Company, Kwara Electricity Distribution Company, kogi Electricity Distribution Company will have problems. Our electricity megawatts will drop in May. MTN, GLO, Etisalat; I foresee challenges for these companies. Let’s pray we don’t lose prominent personalities in this sector. I foresee these telecommunication companies having issues with the government. I foresee Etisalat running into big debt. The company should pray not to lose some of its hard working and dedicated staff. I foresee that the Managing Director of GLO will be facing challenges. Etisalat mast will be attacked. MTN will experience network challenges. Glo will also have connection challenges. MTN, Etisalat, Glo and Airtel must pray to rebuke litigation. Airtel will buy subsidiary extension. I foresee a new telecoms company coming into the industry in the next two years. There will be reviews and changes in tariff by telecoms operators which will be resisted by the subscribers. Telecom operators will do upgrading because there will be connection problems. I foresee changes in NCC and the communication data devises will be changed and increased. Taxation will cause problem for some companies. The Spirit of God says some university lecturers will be sacked because of their atrocities that may cause problem and lead to their sack. I foresee the establishment of new universities in Nigeria and the university procedures will be changed. The Joint Admission and Matriculation Board (JAMB) will change its strategies in the handling of its affairs which will be good news to students. I foresee JAMB reverting back to the use of the manual method for the conduct of its exam. I foresee that West African Examination Council (WAEC) and National Examination Council (NECO) will review their systems in the conduct of the General Certificate of Education Examinations. ASUU will break into factions. I foresee that Minister of Education will review some certain things in the sector. The Head of JAMB and WAEC should also pray not to witness crisis and troubles. JAMB will review its cut off mark. There will be changes in the conduct of the Common Entrance Examination. I foresee some crisis and protest against increment of tuition fee in the polytechnics and universities which may lead to shut down of some universities. Some university will get burnt and mysterious death. Cult will cause problem in some of our universities. Some of the vice chancellor should pray not to have crisis, such as OAU, University of Calabar, University of Nigeria, Ahmadu Bello University. Some rectors of the polytechnic must be careful as well. The Polytechnic of Ado Ekiti and Offa Poly should pray to avert troubles. The Rector of the Lagos State Polytechnic will face challenges. Adeniran Ogunsanya College of Education, Ijaniki will witness crisis. Yaba College of Technology will also witness challenges. I foresee reforms in the educational sector. I foresee names of some universities and polytechnics will be changed in the nearest future. ASUU will embark on strike and agitating for well paid salary. I foresee changes in the board of the Nigerian Union of Teachers. Let us pray against school collapse. Let pray against killings in our schools. I foresee that kidnappers will invade schools. The National Youth Service Corps (NYSC) will not be scrapped but I foresee reforms that will affect its modus operandi. There will be changes in the NYSC orientation camp. Let us pray against protest. The NYSC may maybe attacked and pray against corps accident. There will be reform in the NYSC service. There will be a lot of changes in Unilag and the students’ will go on protest. Some of the Unilag lecturers will face probe. Let us rebuke unexpected killings on the campus. Some Dean of Faculties will be changed. Lets pray to rebuke unexpected death among the lecturers. The Directorate of State Security will bring court a lot of incriminating report on some government officials, banks and governors, indicted may amount to litigation. FIRS will be taken to court and the chairman will have issues to contend with. There will be changes in NDLEA approach and their personnel will have issues and some state commanders will be changed. The Mobile Police (MOPOL) Commanders should pray against challenges. I foresee replacements in the MOPOL Leadership. I see changes in some head of MOPOL 19, 20, 21 and 22. I foresee protests in the police. Soldiers that are fighting the Boko Haram war will still lose top commanders in the Boko Haram war. The Soldiers will protest ill treatment in the force. The Boko Haram sect will still be very active so the army should be watchful. The Spirit of God says the office of the Federal Head of Service should be prayerful so as not to be indicted and I foresee that some Federal Permanent Secretaries may be changed. He needs to pray on this. I foresee sweeping changes and redeployment in the Federal Civil Service. There will be protests by workers of the Civil Service. The Federal Road Safety Corps (FRSC) will face challenges and litigations. Some of the FRSC Sector Commanders will be removed. I foresee redeployment in FRSC. I foresee that an attempt will be made to break the organizational structure of the FRSC but it may not work. They should pray not to lose any of their staff. The FRSC powers in relation to traffic management and control will undergo reforms by the government. The Head of Federal Civil Service Commission will be changed and I foresee troubles in the commission. The African Cup of Nations (AFCON), there will be a lot of surprises in the tournament. Unexpected country will lift up the cup. Let us pray against crisis in the country where the tournament will be hosted. I foresee crisis in the Nigerian Football Federation (NFF). The Minister of Sports, Comrade Dalung will face challenges. Let us pray against any death in the NFF. NFF will have problems with the new coach.NFF will go into debt as NFF will have problems with FIFA in issue concerning money and documentation. I foresee some club facing challenges. Clubs like Enyimba, Warri Wolves, Rangers International, Sunshine Stars, Lobi stars, Wikki tourist may change their coach and may run into financial crisis and will hold their players. Rivers United and Kano Pillars should pray well to escape any attack or being fined. Let us pray so that any of the local club team don’t witness accident. I foresee LMC will have issues with some club and their regulations will be changed at the helms of affairs too. Let us pray there will not be stampede in any of some stadium in Africa. There will be changes in LMC. I foresee troubles in LMC which may want to lead to some changes. Let us pray so that we don’t lose a Referee. Let us pray so that football clubs in Cameroon, Ghana and Cote D’ivoire should not lose any of their players. I foresee crisis in FIFA. Chelsea, Real Madrid, Tottenham, Barcelona, Liverpool and Arsenal must struggle shine and must be careful so that their players will not be fined or have problems with any local authority. I foresee trouble in NFF as the board will have crisis among themselves. NFF will also have problems with the sports ministry. NFF president will run into serious troubles that may destroy his effort. NFF will face litigation. I foresee changes within the ranks of coaches at the international level and some clubs in Europe and Barclays premiership League. The Spirit of God says some coaches will be changed in Nigeria football club. NFF may have issues with company making jersey for Nigeria. The following players must be watchful. Messi, Yaya Toure, Sando Mane, Riyad Mahrez, perry Emerick, Mohammed Sallah, islam Sliminia, Reinfor Kabara, Khalah , Mikel Obi, Nwobi and Iheneacho. Sport writer should pray so that there will no crisis and lose any of their members. Some clubs Fans will cause problem in the field of play. Nigeria will sign agreement with Germany, France and United States of America on terrorist. President Buhari will face a lot of disappointments among his trusted aides and political associates. There are lots of changes he will want to implement but he will suffer setback. He meant well for Nigeria and has good plan for the country but there are a lot of people surrounding him that will mislead him and don’t want him to succeed. Despite the effort of his government, there will still be problem between his political admirers. Let the Abia and Adamawa governors pray well in order to survive the court matter ahead of them. I foresee tension in the two states. I also foresee political tension in Kwara, Kogi, Ogun, Oyo, Ondo, Kano, Sokoto, Kaduna, Kebbi, Zamfara, Benue, Pleteau, Edo and Yobe states. The Igbo should form an alliance with a strong party their time has not yet come. They will not will the presidency in 2019. South west may be cheated politically. South-South may lack behind except they rise up and they come in one voice. In 2019, there will be different agitation of who becomes the President. I foresee internal wrangling in Aso Rock Villa. I foresee crisis between the President and the Vice President. Former Obasanjo is playing his last politics. Olusegun Obasanjo and Buhari will have issues and Arewa consultative forum and some core northern elders will have issue with Buhari government. I foresee that Buhari will have issues with some past head of states and he should pray against health challenges. He should pray so that he is not bereaved. I foresee the death of any former civilian and a former military leader in Nigeria. Let us pray to rebuke the death of a Minister and also a very prominent politician. Let us pray to God to grant all the former Presidents in Nigeria good health. I foresee the death of a Lagos based and a Northern Nigeria based business magnates. I foresee a referendum in nearest future about whether Nigeria should come together, break or restructured. Let us pray for Muslim and Christian clerics for God’s protection over their lives especially the prominent ones among them. I foresee changes in the leadership of APC. There will division and rancor in APC as the chairman, Oyegun, will face challenges. I foresee religious and tribal crisis in some states and ethnicity trouble. I foresee a major crisis and killings in the northern part of the country. Jonathan will be honoured and lead peace mission in Niger delta and still defend his government and Buhari will want to probe him and try to rubbish him but Jonathan will survive and overcome it. Vice President Osinbajo will be robbed politically. Goodluck Jonathan will be involved in the moves to bring the PDP back to political reckoning. I foresee that President Buhari and Asiwaju Bola Tinubu will hold meetings on ways to re-strategize concerning the All Progressives Congress but the outcome may not work as expected because Buhari will not listen to the right people. President Buhari will hold consultations on ways to appoint new Ministers or re-shuffle his cabinet but I foresee that he will still not get it right. Buhari will misbehave. Minister of Labour, Communication, Energy and Transport must be prayerful and careful about their work. The Minister of Finance will face challenges. Let all the Ministers pray to rebuke accidents among them. I foresee mass protest against the government of the day. Buhari will form new political associates with some South west political leaders that will ouster. Asiwaju Tinubu. The Spirit of God says President Buhari and Asiwaju Tinubu will part ways. I see the re-emergence of the Fulani Herdsmen troubles in Igala land, Benue and Taraba states. I see killings in Nigeria and this will affect the offices of the Service Chiefs in the military. The following states: Zamfara, Adamawa, Benue, Plateau, Jigawa, Gombe, Kogi, Anambra and Delta must be careful to avert un-towards developments. There will be many things that will surprise the people and the political class that will take place within the political class in the country. I foresee political tension in some states even as the government will be planning to declare state of emergency. Let us pray against explosions in some states namely: Oyo, Kwara, Lagos Kogi and Ogun Stat. Let us pray to rebuke a major accident in the country that will shock the people. I foresee that some governors will be indicted on charges of corruption while some people earlier charged for corrupt practices will be given clean bill of health. President Buhari will take some steps that will affect his political fortunes. I foresee that some serving governors will be indicted of fraudulent activities. I foresee famine in Africa. Let us pray to rebuke building collapse in some states. I foresee a new set of politicians from APC and PDP to form a very strong party. I foresee that some very close aides of former President Jonathan will betray him and even the former Vice President Namadi Sambo. Let’s pray we don’t lose a former and a present first lady in Nigeria. Let us pray against any emergency situation that may cause serial killings in the country. I foresee a modification in vehicles plate numbers in Nigeria. While the process of licensing and documentation of motor vehicles will be reviewed. The people of Ekiti State, Benue, Taraba, Zamfara, Jigawa, Adamawa and Yobe must pray as I foresee strange killings there. I see a plane being hijacked . The Spirit of God revealed that cases of armed robbery attacks on the high ways. Some markets will be demolished in Lagos and some states. I foresee a market in Oyo state razed down by fire. Onitsha main market and Kano market should pray against fire. I see that some markets will be shut down. Let us pray to rebuke death of Baba Loja and Iya Loja. Let them pray to rebuke leadership troubles. The leaders of the People’s Democratic Party should be careful of promoting selfish interest as I foresee very complex development in the party. The All Progressives Congress must be careful of those people who newly decamped to the party. APC must not do their yearly convention in 2017.The party should be careful of sensational news and reports. I foresee that the activities of the crowd may also ruin the programmes of the party. The year 2019 political contest will not favour many politicians as I foresee something new Coming up in 2019. The governor of Anambra Willie Obiano must not cross to APC so as to have a second term, but if he crosses he will fail shamefully. In his present party (APGA) he needs to do more reconciliation within his party and reorganize his political group. Some states like Ogun, Oyo kebbi, Taraba, Rivers, Abia, Enugu, Kano and Kaduna will change their cabinets. I see that some government house will be attacked. I see attack in some states like Enugu, Abia, Rivers and Kogi will be attacked. Buhari second is dicey he may lose 2019 election; he must not contest. I see changes in prison yard as inmates will attempt to break the jail. Some governors struggling for a second term in office may not get it. The price of Coca Cola other soft drinks, Table water and sachet water will be increased. Vegetable oil, garri, rice and bread prices will be unstable. Nigeria needs three days of fasting and prayer to fight the ongoing economic recession. Nigeria needs God at this time. I foresee serious crisis for the acting EFCC chairman Ibrahim Magu. He is good but critics would keep on traumatizing him. The EFCC will not receive enough support from the international community. Buhari government will be taken to court. I foresee the Economic and Financial Crimes Commissions (EFCC) chasing some governors, politicians, bankers, members of the National Assembly and individuals in the year. Patience Jonathan must be careful so as not to be probed and charged for corrupt practices. I see government will create employment opportunities; which will not be realistic. I also foresee a lot of changes in the All Progressives Congress and the People’s Democratic Party. Let us pray against bombings, tanker accident and petrol explosion. Some Ministers will have problem with President Buhari. Amodu Sheriff and Shinkafi may part ways. I foresee complicating reports on the Chibok girls. I foresee changes and redeployment in immigration. Let us pray to rebuke problems in Tivi and Kanuri. I foresee problems and unnecessary killings in Ighala land, Zamfara, Yobe, Taraba, Plateau and Benue I foresee so many shocking and mysterious things happening in Nigeria. Corruption will fight buhari’s government and of course a lot of governors will be exposed and also the government will fight churches in Nigeria. Let us pray against outbreak of disease, attack and blood flow at IDP camp. Some of the chibok girls will be release again and not all of them will be seen and I foresee the government taking new dimension on the issue of the chibok girls and there will be controversies on the issue of the chibok girl. Buhari government will face a lot of challenges if he did not do the right thing. Two governors will escape attack. I foresee attack in some local government in katsina state. There will be mismanagement of funds and changes in some of the management of the local government. I foresee the government will break joint account as local government will have direct access to their funds. The Kaduna State governor will take unpopular policy that will lead his government into troubles. Abuja will be attacked. The price of vehicle will fluctuate. The Atiku political moves will suffer setback. The price of vehicles will fluctuate. Nigeria will be agitating for true federalism. Its either the country breaks or we go back to the regional system of government. The price of kerosene and diesel will fluctuate in the year. Despite the bailout some states will still be in troubles. I foresee pipeline explosion and oil spills that will hit some community and which may give chevron, Extol Mobil and Total a lot of problems. Let pray to rebuke earthquake and landslide in Nigeria. There will be flooding in some parts of Lagos, Ogun, Enugu, plateau, Kogi and Benue states. The economy will improve a little bit and will later experience some downward movement. This will continue until the government is ready to do the right thing. The Spirit of God says there will be series of political consultations in the country, the outcome of which may ruin the political fortunes of some politicians. I foresee that through the media the Economic and Financial Crimes Commission (EFCC) will announce the names of some people involved in corrupt practices. Buhari and Minister of Transport will quarrel. Akwa Ibom State Governor, Abia, Imo, Kaduna and Kano must be careful so as not to experience troubles. A lot of governors will be under probe and they may not survive it. Nigeria will borrow money because our foreign reserve will not perform as expected. Let us pray we don’t lose any ambassador. I foresee technical troubles with the Presidential jets in the months of April, May, June and August. I foresee doctors going on strike. There will be Kidnappings and political assassinations in Nigeria and some African country. Let us pray we don’t lose a prominent Professor. The Biafra will cause Buhari’s government a lot. Namdi Kanu should be released because he may have ill health in the prison and also Dasuki. I foresee changes in custom, Chief of Staff to the President and the Secretary to the Government of the Federation. Some of Buhari aides will be changed. Let us all embark on 3 days fasting and prayers and cry out to God. Nigeria will build nuclear plant. The Spirit of God says Nigeria will be agitating for the expenditure of the looted funds recovered. Pollution will cause problem in Nigeria. The Shiites group may cause problem in Nigeria. Murtala Nyako political moves may suffer setback. Rabiu Kwankwaso will hve some political troubles ans some people will want to gang up against his political ambition. These are the word of the Lord. NAFDAC will detect lot of fake drugs and baby food. The Director General of NAFDAC should be prayerful so that she will not be faced with challenges. This agency should pray to rebuke the outbreak of fire. They should pray not to lose any of their members and change in their leadership. There will be troubles in M.A.N. They will be clamouring for indigenous product and appealing to government on subvert their tax. The Nigeria Ports Authority (NPA) will sack some of its staff. The there will challenge in our maritime industry. NIMASA may face probe and let NIMASA pray so that there will be no troubles for the DG and some of his directors. Nigeria will develop on railway transportation and they will regulate the train fare. Ferries will be developed in some states and those states should pray against emergency in any of our states. The clearing and forwarding agent should pray not to witness hard times in the year. Let us pray to avoid boat capsizing and ship wreck at the global level. Let us pray against any emergency in our ferries. The Nigeria Railway Corporation will face challenges. I also foresee the government engaging seriously in the construction of the second Niger Bridge that government may start the construction may commence the work of fourth mainland bridge in Lagos will be taking shape. I foresee new airports and seaports in some states of Nigeria. The Managing Director of NPA should pray for Gods protection and not to be bereaved. I foresee there will be trouble and misinformation from the office. Fraud will be detected in the office of the auditor general and there will also be accusation. Let us pray to rebuke the cases of cholera cases and reports of fever outbreaks. I foresee government refurbishing the Teaching Hospitals and the establishment of new ones. Let us pray to rebuke fire outbreak in any of the teaching hospital and some medical directors in some teaching hospitals will be changed unexpectedly. I foresee bird flu and waterborne disease in the country. I foresee a resurgence of militancy in the Niger Delta area. The government must be more serious in its dealings with the Avengers. Their issues must be handled with care. I foresee a deadlier group coming up still from the Niger Delta that will make the Avengers activities. The government must be watchful because I foresee that the group will cause the nation more havoc than what we have experienced before. The government should dialogue with the Avengers and also pray so that there will be peace in the land. I foresee that new militant group will emerged and some of the militants there will be panel to dialogue with them in order to cease fire. Some will work and some will not and the source of the NDA will be revealed. The NDA will break jail and Boko Haram will aswel break jail. The Nigerian government will make efforts to boost agriculture in 2017. States in Nigeria will partner with one another on agriculture. However, the packaging of the farm products must be given the desired attention. Otherwise, I don’t see it succeeding. I foresee corrupt practices rocking the boat of the agriculture sector in the year. I foresee a boom in the Agricultural sector in 2018. I foresee Nigeria becoming an exporter of rice and other farm crops by 2018. I foresee foreign investors coming to Nigeria to engage in agriculture. There will be fake fertilizer and the government should pray against insect that will destroy crops. Government will want to boost agriculture but their efforts will not materalize now. Some investors will leave Nigeria. The Upper Legislative House will perform in some areas and will not live up to the expectations of the people in some areas. There will be controversial Bill in the Senate. I foresee disagreement between the Senate and President Buhari. I foresee deaths in the Senate. Let them pray on this. The Senate should be careful and guide against fire outbreak. The Senate will demand for welfare package and the amenities will be criticised. I foresee the Senate President surmounting political challenges in 2017. The Spirit of God says that the senate president’s political foes will still wage serious wars against him. He should pray fervently to overcome this. The Code of Conduct Tribunal trials of the Senate President will come up again; its judgement will cause a lot of confusion and the CCT judgement will be challenging in so many ways. I foresee Saraki can only survive the crisis only if he does what the party wants. I foresee money causing problems among Senators. I foresee that the Speaker of the Federal House of Representatives Yakubu Dogara will be having serious challenges in his constituency and must pray to overcome every political challenge in his ways. He needs prayers to survive 2017 as there will be antagonist. The 2017 Budget will be delayed and may not be implemented as detailed because there will be issues on it between the Legislative and the Executive Arms of Government. I see changes of some principal officers in the senate. Saraki needs prayers to survive as there will be antagonist. Some senators will have problems and there will be different political moves in the senate. I foresee that the Senate President will be confronted with new challenges thus he needs to pray fervently to overcome the antagonist against him. Most of his good step will not be appreciated by the people. Saraki will be surrounded with so many troubles; he needs prayers to survive. Saraki CCT case may take another dimension. The Senate and the House of Representatives will disagree on some policy frameworks of the Buhari government. There will a rowdy session in the Senate and this will cause misunderstanding in the house. I see a lot of changes in the senate and they should guide against selfish matters and interest as Senate will trouble Buhari major effort. Let’s pray against the death of a former Speaker. The price of gold will be fluctuating there will be more natural resources that will be discovered in Nigeria. Charcoal will be scarce. The price of paints and will be high. I foresee Nigeria importing petroleum products from the neighbouring countries. The Spirit of God says that the exportation of crude oil may cause Nigeria lot of money as Nigeria will discover oil in some states of the federation. I foresee the neighbouring countries will be enjoying the oil more than Nigeria. I foresee dirty deals rocking the boat of the Nigeria National Petroleum Corporation. The Spirit of God says the Managing Director and General Managing Director of the NNPC must be prayerful so as to overcome challenges and indictment. I foresee changes at the top management levels too. I foresee pipeline vandalization and explosions. I foresee that gas will be used to do vehicles, to power energy that is why it will be scare. I foresee that vehicles that will be using gas will be on our roads. I foresee PENGASSAN and NUPENG going on strike. Forte Oil must pray so that any of their trucks will not be involved in a fatal accident. Oando will want to have expansion in their offshore and they will win a contract. The Oil giant Exxon Mobil will experience troubles as the company will be forced to make some payments. Forte oil may be sued and must be careful so that they will not be scammed and they should pray against debt. I foresee changes in DPR. There will be crisis in OPEC. Nigeria Liquefied Natural Gas (NLNG) should pray against emergency and changes in leadership. There will be a fake oil production in this sector. The nollywood stars (Yoruba and English) genres should pray to rebuke deaths and accident among them. I foresee there will be rancor among their fractional leaders. The musicians should pray against challenges and disunity among themselves. The media practitioners should pray to rebuke death and accident among them. Also the sport writers must pray not to lose any one in the association. Let us pray against deaths in NTA, Channels and AIT. Journalist should pray not to witness demise of any of the senior reporters and editors and they should pray for God’s protection in the year.